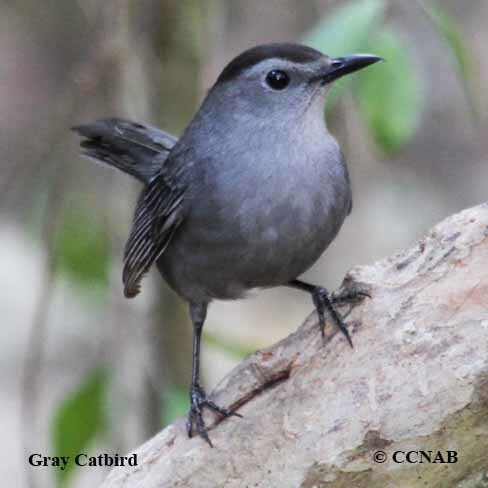 Species: The Gray Catbird (Dumetella carolinensis) is part of the same group of mimic birds, as thrashers and mockingbirds. Known for its wide variety of songs, including its "mew" call. 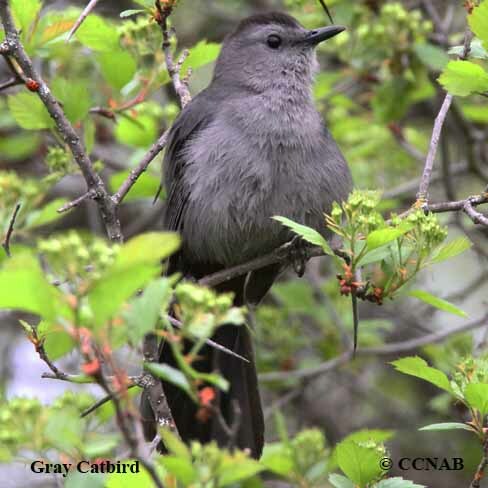 This bird is found around residential properties, where it is quite comfortable among people, and most times, easy to approach. Distinctions: The male and the female are similar in appearance. 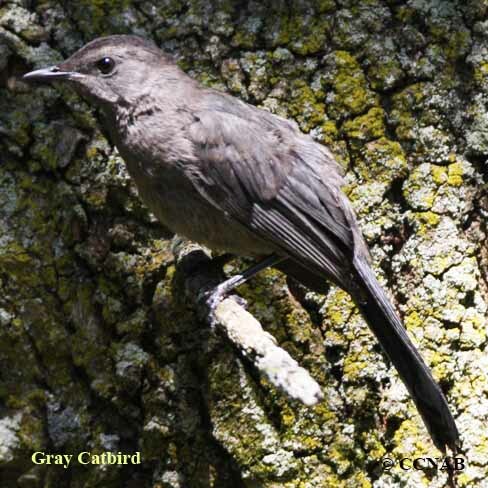 Both sexes have an all grey body, black crown, and a chestnut coloured patch in the undertail coverts. 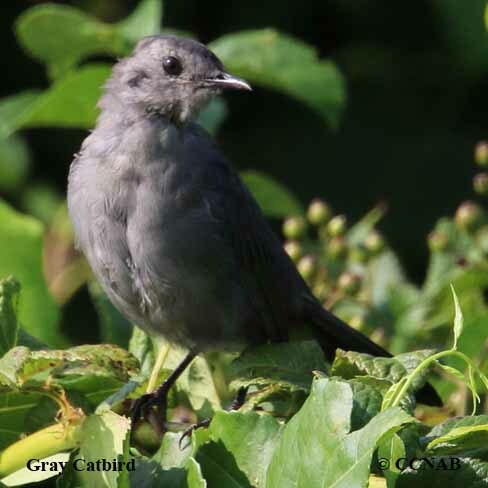 When seek out for their singing, it is typical for the bird to move deeper into the thickets, but with some patience, and a little time, the catbird can be coaxes back out into the opening. 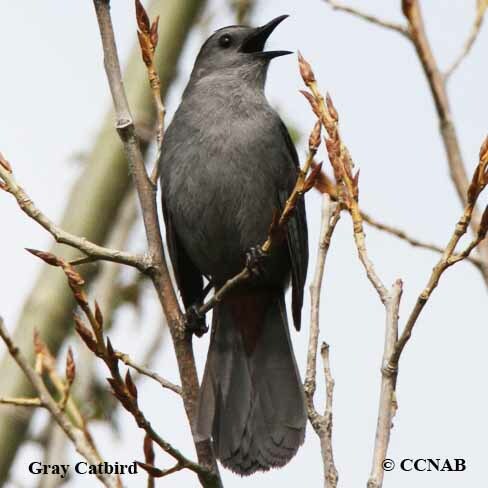 Not uncommon to see the Gray Catbird perched on a limb, with its body squat and flatten, with ruffled feathers, warming itself in the sun. Voice: Has a large repertoire, from flute like notes, to scratchy notes, with the odd "mew" thrown in, to mimicking a sound which they had heard. Nesting: Four to five blueish-green coloured eggs, as many as two broods per year. 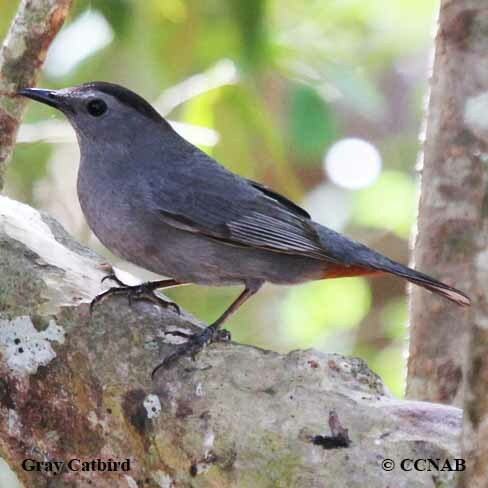 Builds its nest in thick bush or tangles, usually in a few feet from the ground in a small tree. Distribution: Found throughout areas with thickets or brambles, comfortable in residential areas. Seen from Nova Scotia to British Columbia, down into New Mexico and across to Florida. May spend the winter months in southern Florida, Louisiana, eastern Texas, and into Mexico.